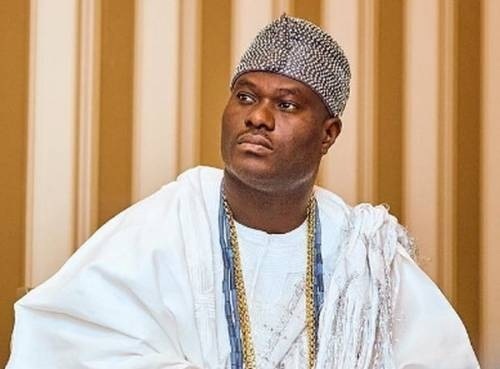 The Ooni of Ife, Oba Adeyeye Ogunwusi, has said he is not happy with what is happening in Ekiti State ahead of the governorship election holding in the state on Saturday. A statement on Thursday by the Directorate of Media and Public Affairs of Ooni’s Palace quoted Oba Ogunwusi as saying this when the British High Commissioner to Nigeria, Mr. Paul Arkwright, paid him a courtesy visit at his palace in Ile Ife. The monarch, who expressed worry, said other states would be negatively affected if the Ekiti State governorship election was marred by violence. The Ooni said, “What I heard happening in Ekiti State during this electioneering period does not make me happy as their father. Enough of the crisis; we do not want any crisis in Yoruba land. Where there is violence, progress and tranquility will be deprived, but where there is peace, there is progress. The Ooni, who is the Co-Chairman of the National Council of Traditional Rulers of Nigeria, said political violence could reverse all the gains of development while calling on the people of the state to be peaceful before, during and after the election. Arkwright, who is also the United Kingdom Chief Observer to Nigeria on the gubernatorial election in Ekiti State, called for a free, fair, credible and peaceful election in Ekiti State.